Why is good general and oral hygiene important? Sneezing into a hand may seem like protection enough to stop coughs and colds from spreading. 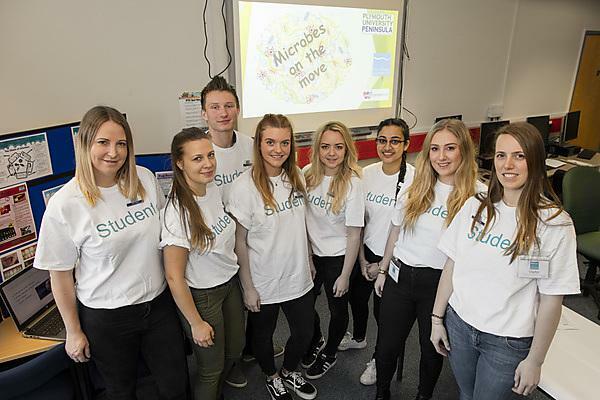 But viruses can survive on hard surfaces for 24 hours and carry distances of around three metres – as demonstrated by a workshop run by dental therapy and hygiene students from the Plymouth University Peninsula Dental School. Second-year students ran a session at City College Plymouth for young adults with mild learning difficulties to talk about good hygiene and oral health. They highlighted how simple steps such as good hand washing (30 seconds with thorough technique) and using a tissue when sneezing can help to stop the spread of viruses – with a virus only able to survive on a tissue for 15 minutes. Cross-infection and how bacteria can be kept at bay were the overriding themes of the session, and students explained how good oral health is also very important to prevent oral infection and disease. The event took place as part of the University students’ Inter-Professional Engagement module – which is run on the BDS Dental Surgery and BSc (Hons) Dental Therapy and Hygiene courses in partnership with Peninsula Dental Social Enterprise (PDSE) and community engagement charity, Well Connected. The course has many features which will enhance your learning experience. From technology-enhanced learning and our Life Sciences Resource Centre and much more. Interested in studying at City College Plymouth? Find out more about what we've got to offer and how your education can thrive with us.